Are you looking for the cheapest quality infrared camera? 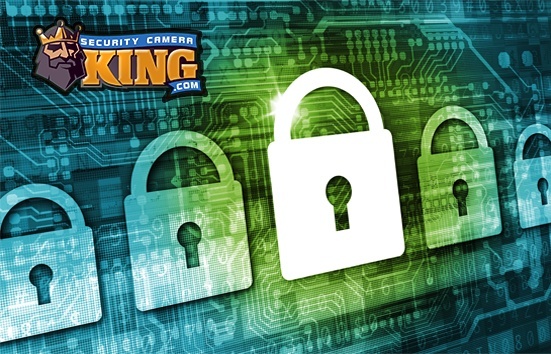 Look no further than Security Camera King as we stock some of the highest quality yet economically priced infrared security cameras available. Before we look at some specific models Security Camera King has to offer, lets look at some of the features of infrared cameras that may affect their price. First, let’s briefly discuss how an digital video infrared camera works, then we can better understand the difference in prices based on its features. To begin with, a digital video camera produces a video image by taking several digital photographs in rapid succession. On the average, a typical high quality camera is capable of producing at least 30 photographs (called frames) per second or 30 fps. These images are created by electronic sensors that convert light energy into electrical energy that can be measured and used to create a digital photograph or video. There are two basic sensors that are used. One sensor is called a Charge Coupled Device or CCD. It usually produces a higher quality image but may also be more expensive. The other sensor called a Complimentary Metal Oxide Sensor or CMOS has historically been a little lower in quality and cheaper in cost. However, as technology advances the CMOS and CCD are becoming closer in quality and cost. Both sensors produce black and white or monochromatic images in the infrared mode. These sensors have and added advantage to digital imaging. In addition to being sensitive to light, they are also inherently sensitive to near infrared radiation (light). This means that they have the inherent ability to be used as an infrared camera. However, since the sensor is able to detect near infrared light, the field of view must be illuminated by near infrared radiation. In other words these cameras do not detect the typical heat signatures naturally emitted by objects. Therefore, infrared cameras use infrared Light Emitting Diodes or IR LEDs to “illuminate” their field of view. These LEDs are usually arranged in an array around the camera lens so that their light is focused in the same direction as the camera’s field of view. However, separate LED security cameras may also be used to illuminate the target area. Generally speaking, the more LED’s the better and longer range of illumination, therefore the longer IR range of the camera. Finally, there are day/night cameras and true day/night cameras. Lesser quality day/night cameras use software to filter out the infrared light that it sees during the day mode. Higher quality true day/night cameras use an IR Cut filter during the day to filter out the infrared radiation producing a higher quality image. • Any filters or additional accessories that may be used with the camera. So what are the cheapest quality infrared cameras that Security Camera King has to offer? The following is a brief list of the four cheapest quality infrared cameras offered by Security Camera King including some brief specifications that you may use for comparison to other cameras. • Product # OD-LX420IR50 – A 420TVL indoor/outdoor vandal resistant dome camera with a 50 foot IR range. It contains a CCD and 23 IR LEDs. The current price is only $49.95. 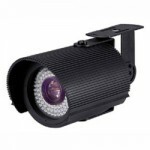 • Product # OB-LX420IR50 – A 420TVL indoor/outdoor weatherproof bullet camera with a 65 foot IR range. This camera contains a 1/4″ Sharp CCD and 23 IR LEDs. The current price is only $49.99. • Product # OD- LX520IR50 – This dome camera is essentially the same as OD-LX420IR50 but offers an increased resolution of 520TVL. The current price is only $79.99. • Product # SVB-58IR48 – This bullet camera is similar to the OB-LX420IR50 listed above but offers an increased resolution of 580TVL. In addition it also offers a longer IR range of 164 feet and uses 48 on-board IR LEDs. Security Camera King offers some of the cheapest quality infrared cameras available. Remember when shopping for your IR camera to consider camera features such as resolution, IR range, weatherproofing, etc. for comparable pricing.